Nainggolan has been restricted to 14 Serie A starts and missed Inter's dramatic derby defeat of AC Milan before the international break due to injury. That victory moved Inter above Milan into third place in the table and Nainggolan feels Spalletti's side are on track to meet their top-four aims. "We are strong, the group is united. 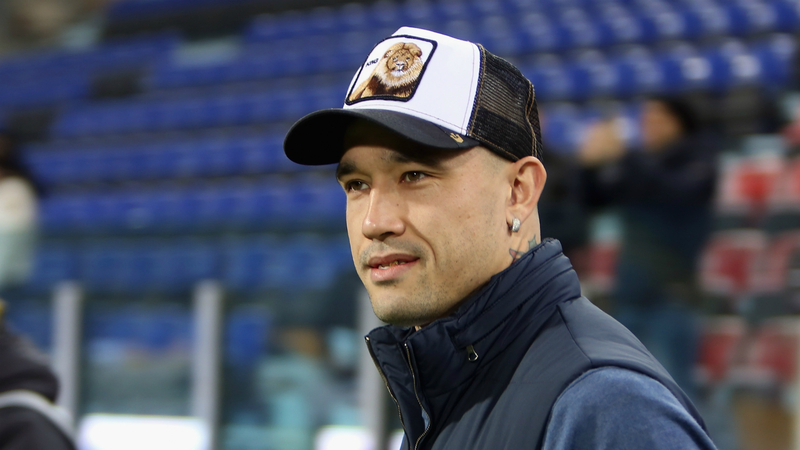 We need to qualify for Champions League," Nainggolan said in an interview with Lega Serie A's YouTube channel. "I have a good relationship with Spalletti. He's tactically strong and very meticulous. "If he loves you, he shows it to you. He did a lot to bring me here and I hope I can finally start giving him so much back." "I was criticised so much because everyone expected so much from me," he added. "But I've had so many injuries, which I've never had in my career. "It was a great satisfaction to get back among the goals [against Sampdoria last month] and I hope I can keep going like this." Meanwhile, the agent of Nainggolan's Inter team-mate Matteo Politano believes the Nerazzurri will take up their option to turn his loan from Sassuolo into a permanent deal. "Politano to Inter is a deal we all wanted to happen," Davide Lippi said to Radio Sportiva. "Matteo is having a great season, which is what we expected. Inter were a big jump, that is true, but they invested in him because they thought he would make it. "I think he is a player you can count on. I don't think Inter will miss out on the chance to buy him: it will take around €20million to release him from Sassuolo. "We haven't talked yet as the season is long, but I don't think there will be any problems with Inter's option to buy, given the praise we have received."